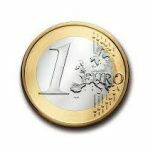 The euro managed to find support from stronger than expected industrial production activity in the Eurozone. Since the beginning of January, the currency has enjoyed a strong recovery against the US dollar as the economy improves, with most of the data surprising economists. Data coming out of Germany yesterday confirmed the improved environment as the country is performing strongly thanks to domestic demand. The economy of Europe’s powerhouse country grew 1.9% in 2016, which was higher than consensus predictions. Industrial production in Europe was also confirmed to have risen 1.5% in November. The European Central Bank minutes released yesterday showed that headline inflation is rising significantly. The minutes suggested that members have different views on monetary policy. If the trend continues, the Central Bank might start considering tapering its QE programme. German Finance Minister, Wolfgang Schaeuble, also jumped on the bandwagon and stated that the ECB should start unwinding its ultra-loose monetary policy. In other news, investors continued to unwind so-called ‘Trump trades’ following disappointment at the lack of substance in the President-elect press conference. With just over a week before the Trump presidency officially begins, investors were hoping that he would outline the scope of his infrastructure plans but he failed to do so and as a result the US dollar fell. Nonetheless, economic reports from the US continue to show improvements with jobless claims increasing at a slower rate than expected and import prices ticking up.